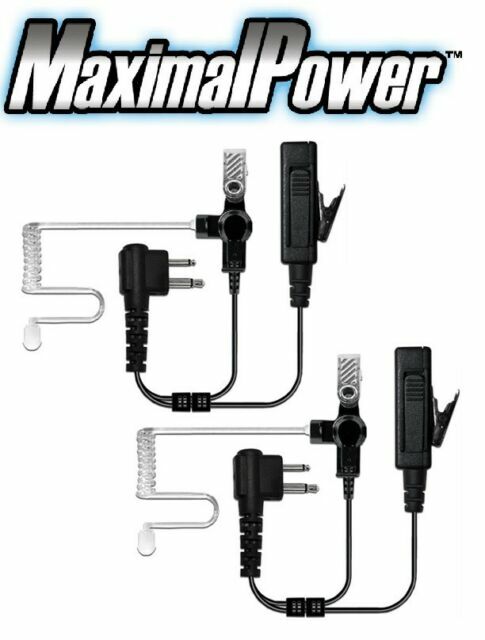 "2-Wire Headset with Clear Coil Tube, Earbud, and PTT Mic for Push-To-Talk (PTT) mic with single surveillance style acoustic tube. Heavy duty, rugged polycarbonate housed PTT mic. MOTOROLA M1 2-WAY RADIOS."